Rev. 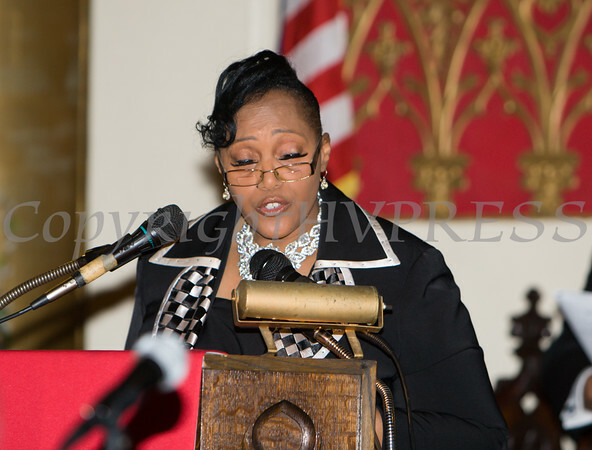 Dr. Dollyann Newkirk-Briggs, Pastor of Pentecostal Holy Joy Church of The Lord conducts the Memorial of Silence during the Christian Ministerial Fellowship of Newburgh & Vicinities 47th Annual Martin Luther King Jr Celebration on Friday, January 15, 2016 at Holy Temple Church in Newburgh, NY. Hudson Valley Press/CHUCK STEWART, JR.